One of the most beautiful things about potatoes is that there are SO MANY ways you can enjoy them. 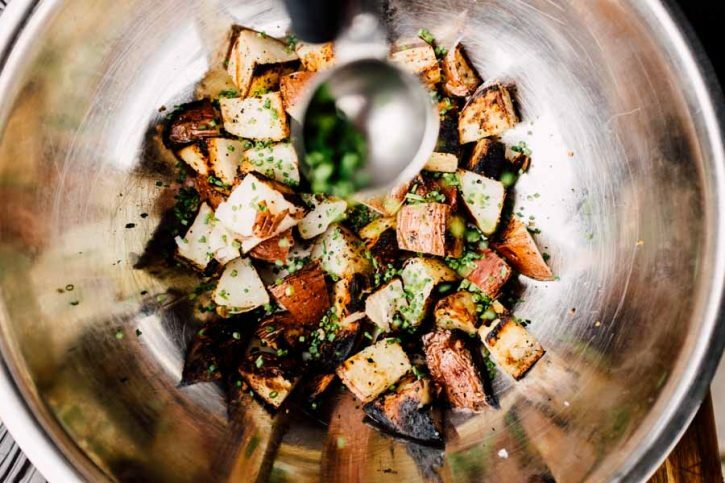 So, if you’re tired of baked or mashed or whatever your potato rut may be, dive into this killer pesto potato recipe! Everything is better with a little char, so get some good color on your wedges before finishing them over indirect heat. 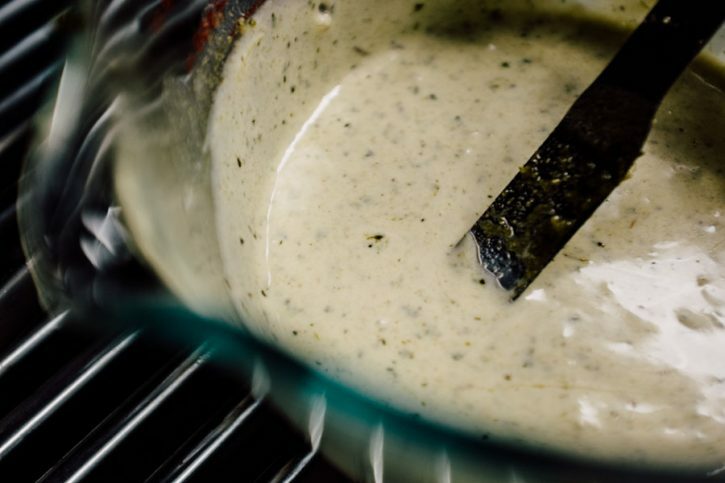 This is a really simple dressing/sauce that conisists of only three ingredients. Of course, we’d encourage you to make your pesto from scratch, if you’ve got the time! Preheat your grill to high heat (450ºF) set up for direct and indirect grilling. Combine the mayonnaise, pesto and lemon juice. Mix well. Refrigerate. Cut the potatoes into 3/4” wedges. Toss in grape seed oil and season with Cattleman’s Grill California Tri-tip Seasoning. 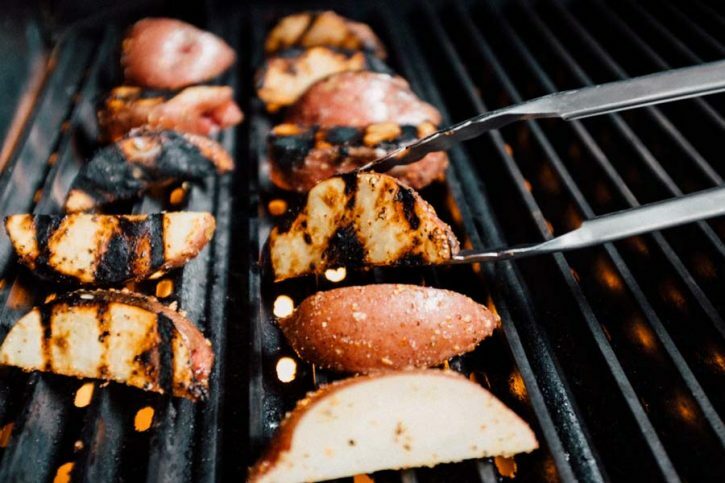 Grill the potatoes over direct heat to achieve some char and grill marks. Move to indirect heat and continue cooking until the potatoes are tender, about 15-20 minutes. Remove from the grill when they are tender, but still have some bite. 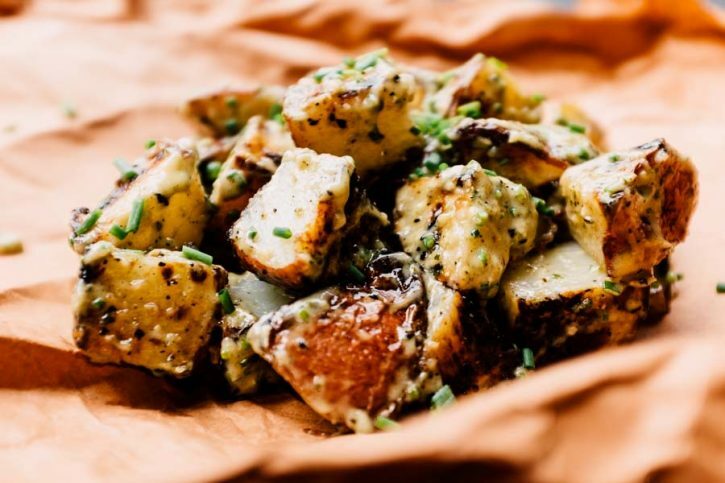 Dice potatoes into bite sized pieces and toss with the pesto mixture and chives.